Ai awwaiz thort tweetin wuz striktlee fur teh burdiez! 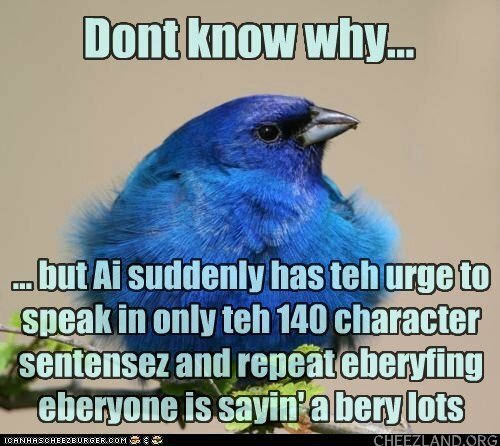 Gibbon moast ov teh jibberish ai haz seed awn twitter it reelee shud bee! In Cheezland, the time is 20:43.